Our qualifying Law LLB(Hons) degree combines academic study with opportunities to experience law in practice, preparing you for a career as a legal professional or as a legal specialist within an organisation. This degree is currently recognised by the Solicitors Regulation (SRA) Authority and the Bar Standards Board. It is a qualifying law degree, which means that Law LLB(Hons) graduates will have completed the academic stage of training for entry into the legal profession. The SRA have announced that they are introducing a new qualifying exam – the Solicitors Qualification Exam (SQE) – which will replace of the existing Legal Practice Course. There's more information on this change in the Solicitors Qualification Exam section below. This course is one of three LLB courses offered by Brighton Business School, alongside Law with Business LLB(Hons) and Law with Criminology LLB(Hons). Professional accreditation from the Solicitors Regulation Authority and the Bar Standards Board. This qualifying law degree enables you to train as a solicitor or barrister after graduation. Optional paid placement year with a law firm. 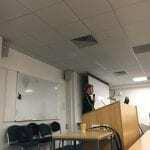 The course satisfies the academic stage of training to become a solicitor or barrister. You will explore topics such as business planning and business development. You will be able to choose options such as commercial law, family law, digital marketing and entrepreneurship. Learning is delivered through a stimulating mix of seminars, guest lectures, skills sessions and workshops. Extracurricular activities, such as industry-sponsored mooting and client interviewing competitions and pro bono work. From your second year, through the module choices you make, you can either continue along a broad law degree route or specialise and graduate with a pathway in business or criminology. The mooting module, for example, will help develop your advocacy skills in a mock courtroom. The good communication, problem-solving, analytical and research skills developed during your law degree are needed not only by the legal profession but also are relevant to many alternative careers. Graduates may seek careers in areas such as banking, insurance and Civil Service. The Brighton Business School has strong links with the local legal profession and encourages you to complete vacation placements with solicitors’ firms, mini pupillages with barristers’ chambers and internships with other institutions. 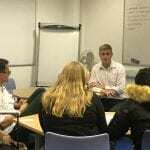 Our client interviewing skills programme enables students to develop the essential skill of interviewing clients, a key component of legal work. 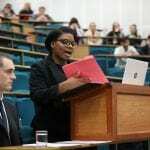 The programme culminates in an internal competition, sponsored by a local law firm, and the winning students proceed to represent the university in the national Law Society competition. Placement fairs are held twice a year involving a range of companies from well-known names such as Sainsbury’s, Marks & Spencer, Enterprise-Rent- a-Car and IBM, through to smaller and more local businesses and firms. Our regular employability weeks offer a range of activities designed to enhance students’ employability including LinkedIn workshops, sessions on working abroad, advice from the university’s volunteering service and support from the careers team. If you decide that you would like to go onto postgraduate study, we offer a 10% discount to alumni. 30 points, including 16 at higher level. pass with 60 credits overall. Units in accounting and finance, business, law or management required. At least 45 credits at level 3, with 24 credits at merit or above.